DPEB Steel offers custom designed parking shelters based on the shapes shown in this section. 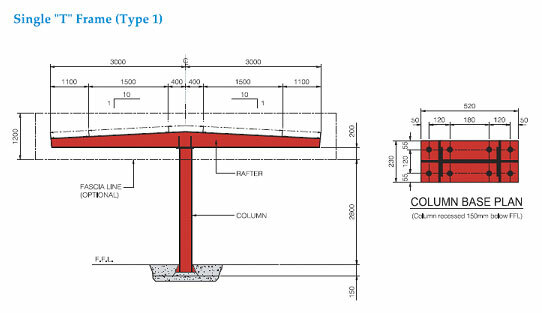 Column reactions and Anchor bolt sizes are dependent up on the specified wind loads. The appearance of these shelters can be enhanced by adding fascia’ so curved panels at the free ends (sides and ends).